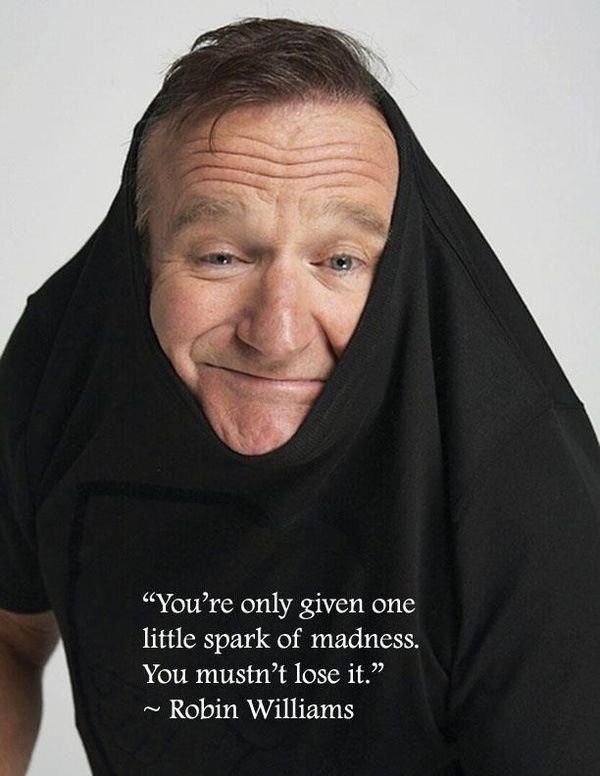 I am but a mere mortal that enjoyed all of Robin’s work and I have never met him but my prayers go out to your family. I can’t begin to imagine how you all must feel, find strength in each other and be strong, he will always be in your hearts…. Celebrity deaths usually don’t get to me that much but Robin Williams’ death really got to me. Especially HOW he died. This man brought me so much joy and laughter and it hurts my heart to find out that he was hiding so much pain inside. That behind that infectious smile lied a troubled soul, a man suffering, a man in pain. And still, he made everyone laugh and smile. He woke up every day and put on a smile and made us laugh. I personally know what a deep depression is like, I’ve struggled with it til this day, and I wouldn’t wish it on my worst enemy. I know what it’s like to wake up every day, put on a fake smile and pretend to be okay. He went beyond that and made the entire world laugh til our bellies ached. Despite his own pain and suffering he made it his goal to give others a good time. You always managed to cheer me up when I needed it the most. I hope that you are finally at peace and no longer hurting. Be free genie, be free….. This entry was posted in Uncategorized and tagged death, depression, mental health, mental illness, robin williams, suicide by Belle Morte. Bookmark the permalink.